Another sad news just coming in that we know it will definitely not please you, especially if you are an airtel subscriber is the latest reduction of airtel smarttrybe N25 night data plan bundle volume by half. 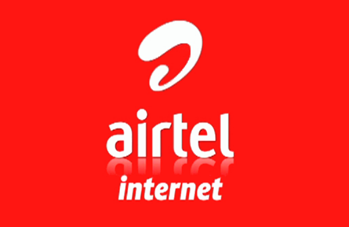 Airtel N25 night data plan has for long remained the only night data plan amongst all other networks that the data volume has not been tampered with and thereby it has until now remained the joy for cheap night internet data subscription to many. But the sad news is that Airtel like other internet network providers have now reduced the N25 night data plan bundle volume by halving it. You will recall that Airtel smarttrybe N25 night data plan offer airtel subscribers 500MB of data to surf the internet between the hours of 12 midnight to 5AM. With regret in our heart, we are displeased to announce to you that airtel has now halved the data volume for this night plan, instead of the 500MB, subscribers will now get only 250MB of data when they subscribe for the airtel N25 night data plan. And the most painful part is that airtel secretly carried out this reduction in the N25 night data plan bundle volume by still indicating in the subscription menu that it is N25 for 500MB, whereas when you now subscribe to the plan, you will be given only 250MB. It might also displease you to note that this period has witnessed lots of reduction in data volume or total cancelation of cheap data plans by the major GSM and internet network providers in the country. MTN earlier in the year increased the price of their N25 night data plan of 250MB to N50, while Glo discontinued their cheap N200 for 1.2GB data plan, and here we come again as Airtel has just joined in the subscribers disappointment spree by reducing the data volume of their N25 night data plan from 500MB to 250MB.